Back in January I attended the opening for an exhibition by Stefen Kirkeby and Amy Ellingson at Gallery 16 here in San Francisco. The work of both artists focused on prints and printmaking in its various forms. 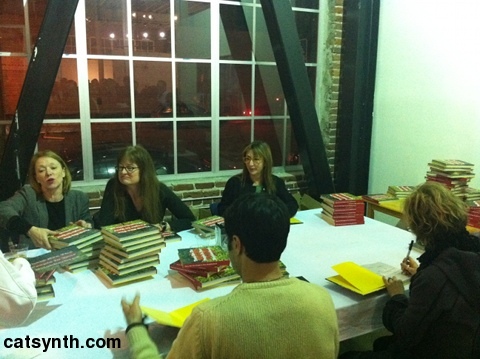 The show also served as the release party for the gallery’s 16th anniversary book. Stefan Kirkeby’s photographs have a very minimal and geometric quality, and celebrate these elements in everyday architecture and infrastructure. The prints on display also featured a variety of techniques. Particularly interesting were the series of gravures along one wall. The gravures are made using copper plates to “etch” the image onto paper. In terms of subject, each of the photographs focused on a single geometric element. Up Lift (Venice, CA 2007) featured concentric round solids, while Boxed (also from Venice, CA) featured in square inset. There were also areal views of fields with rectangular patterns, some mechanical contraptions, and in Sun stones (Japan 2008) a large stone cube on tiles that remind me of the distinctive floor of . 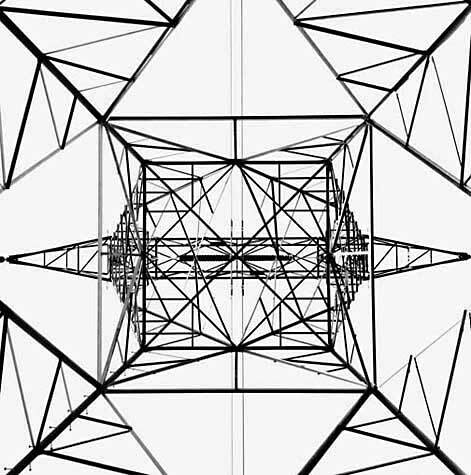 Perhaps the most striking was Dead Center (Arizona, 2000) which distills the view (looking up from the center of a power-line tower) into a symmetric and seemingly algorithmic arrangement of straight lines. There was also a much larger scale version of Dead Center entitled Dead Dead Center. In addition to the scale and use of a different printing technique, the image was inverted (i.e., white on black). Both versions work well, and highlight the . The power lines are a rich source for Kirkeby, who also presented a series of closeups of the wires at various angles, with evocative titles. The close-ups and high contrast makes these very abstract and bring to mind some of the minimalist and industrial-inspired paintings of early 20th century. I think part of the attraction of the pieces involving regular shapes and straight lines is that they draw ones attention to elements in the real world that have the simplicity and calm of computer-generated or machine-generated object. Also on display were prints by Amy Ellingson. We have seen and reviewed examples of Ellingson’s work at earlier exhibitions. The pieces in this exhibition all featured the same flattened oval shape that appeared prominently in her previous work, arranged in regular 3-by-3 grids. They serve as areas of contrasting color and texture between foreground and background, and sometimes as windows of sorts. In Inverse Title 11, the oval shapes have a light color and bright texture in contrast to the main black field, almost like cut-out areas. In a series of larger untitled works, the shapes are more like overlays against a translucent color field with soft textures, as in Unititled #5 (shown above). 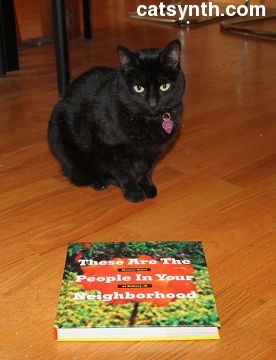 This exhibition also marked the release of Gallery 16’s 16th anniversary book These Are The People In Your Neighborhood. 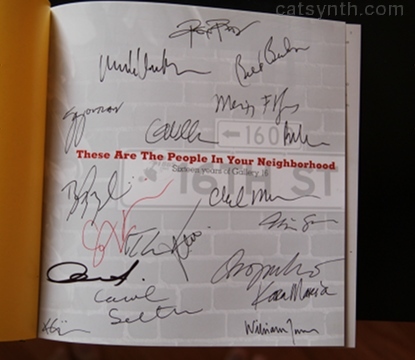 As part of the event, several of the artists featured in the book were on hand for a group signing. I did of course have to get a copy, with as many signatures as I could get during my brief time at the event. The book is a mixture of writing and images documenting the many artists and events over the gallery’s history in San Francisco. It was initially located at 1616, 16th Street (in the Poterero Hill neighborhood) before moving to its current location in SOMA. Leafing through the book one can the emphasis on print and although there is a wide variety of styles, I did see a lot of works that represent my own interest in modernist and minimal art (as exemplified by this exhibition) and urban themes such as infrastructure or graffiti/cartoons. Posted on February 24, 2011 by catsynth	This entry was posted in Art, Photography, Reviews, San Francisco and tagged amy ellingson, book, gallery 16, Luna, Photography, printmaking, signatures, soma, stefan kirkeby. Bookmark the permalink. I really do like Stefan Kirkeby’s work. Very nice.